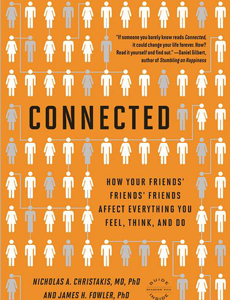 In Connected, the authors explain why emotions are contagious, how health behaviors spread, why the rich get richer, even how we find and choose our partners. Intriguing and entertaining,Connected overturns the notion of the individual and provides a revolutionary paradigm-that social networks influence our ideas, emotions, health, relationships, behavior, politics, and much more. It will change the way we think about every aspect of our lives.